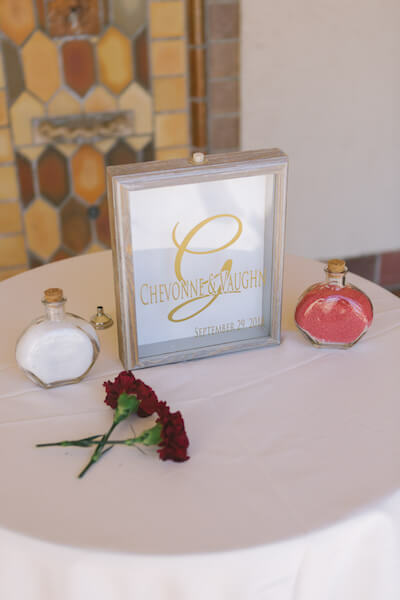 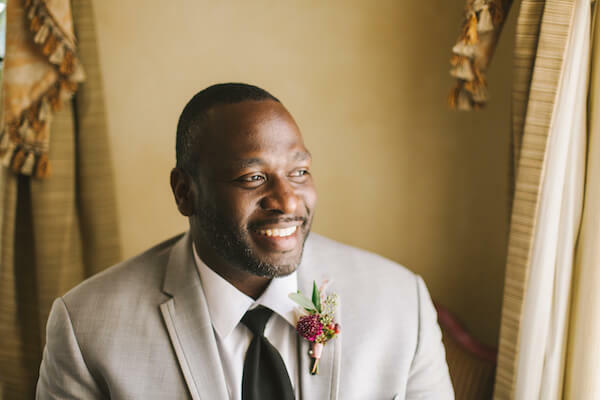 Timeless and Classic is the best way Tammy Waterman, our Special Moments Event Planning’s Lead Dream Maker could describe Chevonne and Vaughn’s wedding. 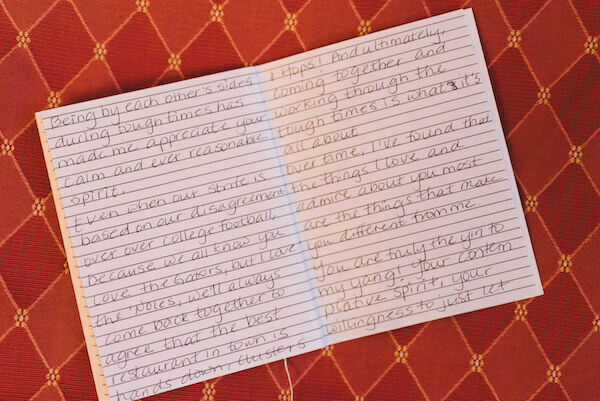 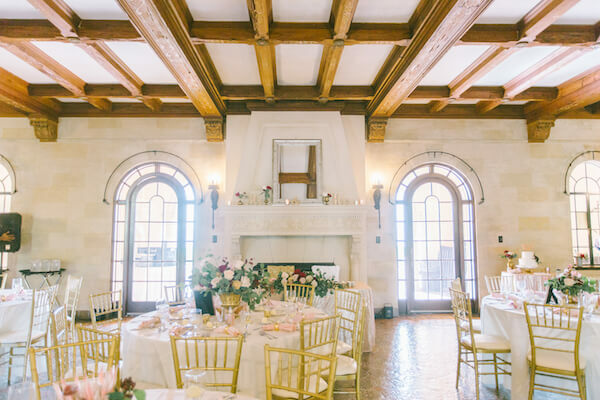 The wedding was hosted at the beautiful Powel Crosley Mansion where they hosted their wedding. 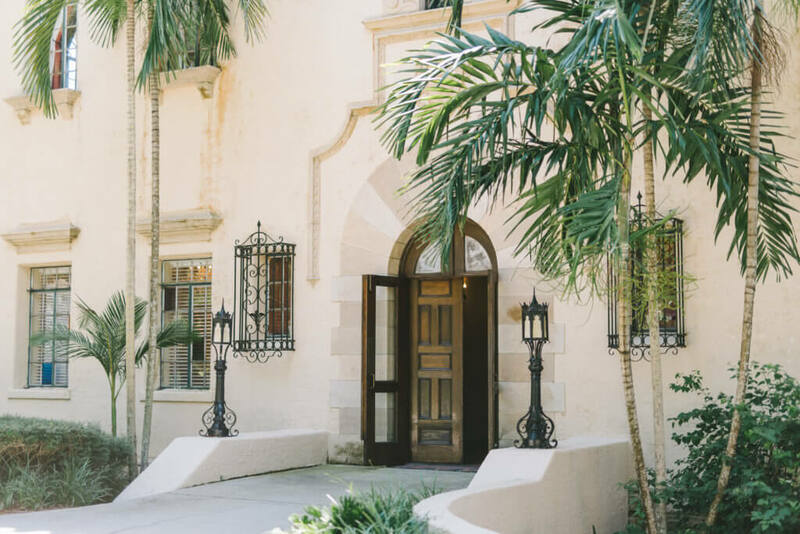 This breathtaking Mediterranean Mansion known as Seagate was built in the 1920s on a 60-acre property sitting right on the Sarasota Bay. 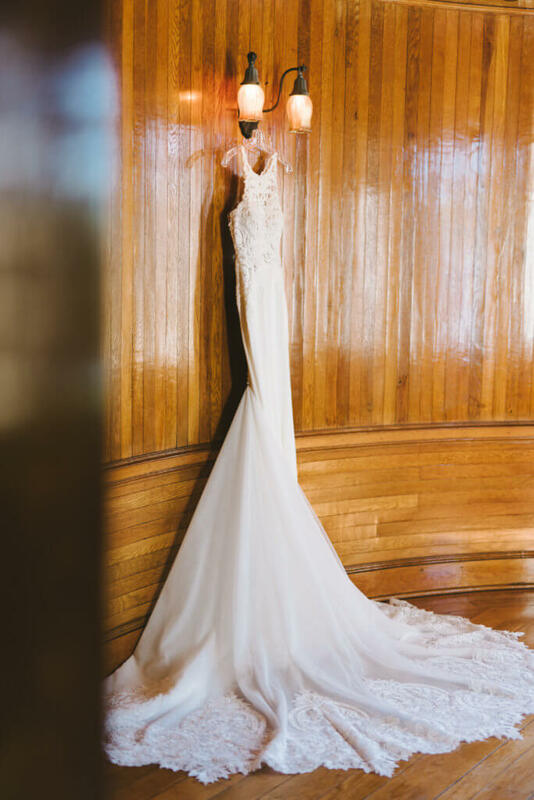 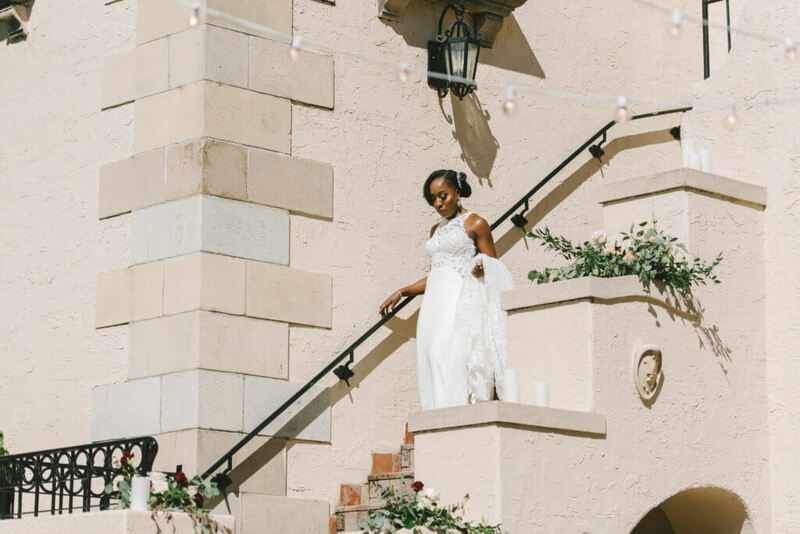 From wedding portraits in the magnificent Ship Room, Chevonne’s amazing entrance down the outside stairs or their outdoor wedding ceremony in The Loggia; every detail was timeless and classic. 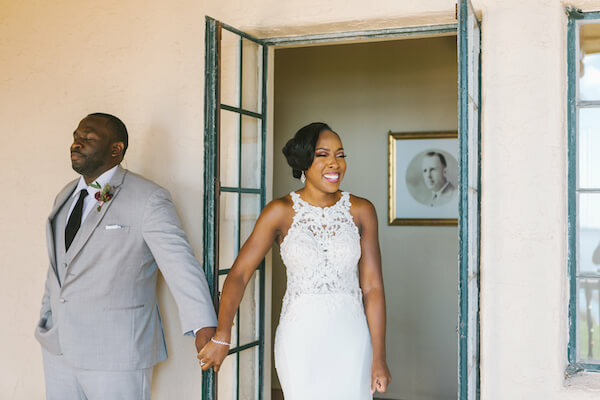 Chevonne looked stunning in an elegant form-fitting gown with buttons down the back and beautiful lace appliques. 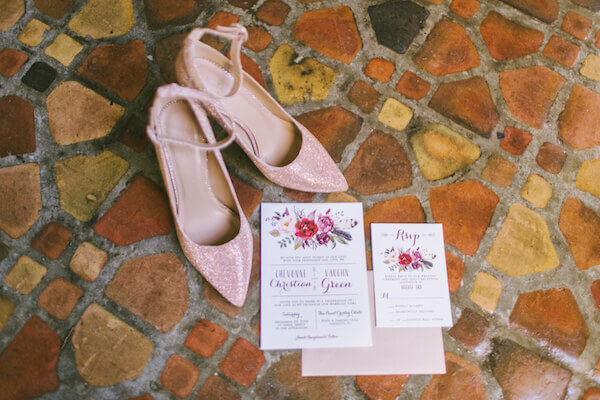 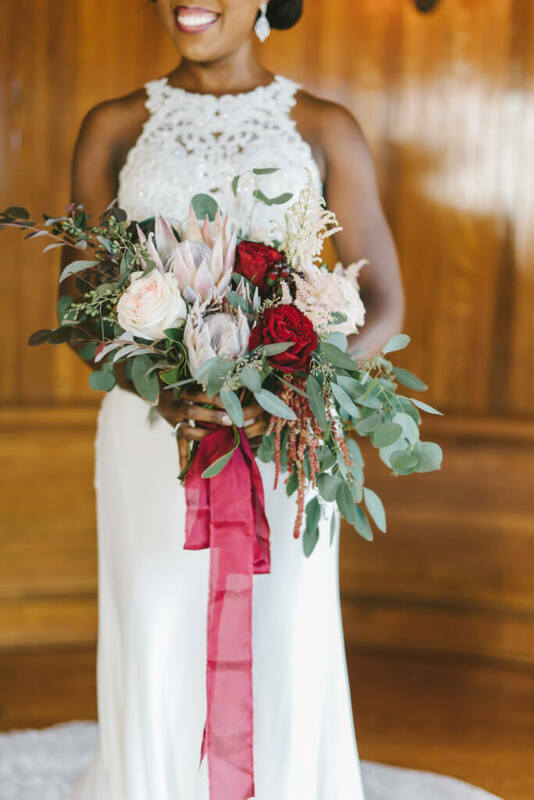 The beautiful bride wore shimmering pink pumps and carried a cascading bouquet of king protea, white and red roses, soft white astilbe and eucalyptus. 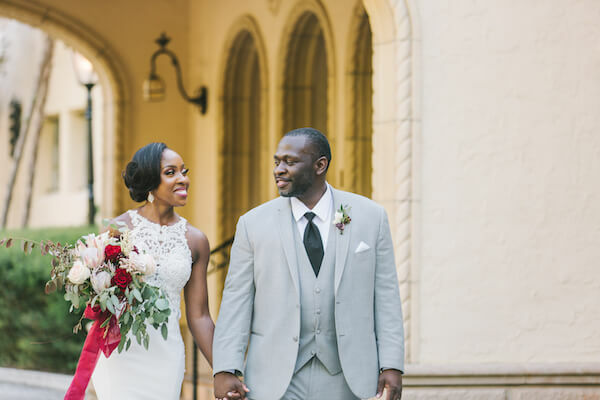 After individual portraits and several with their wedding party, the couple had a ‘first touch’ where they were able to have a special moment and touch hands, but never actually see each other. 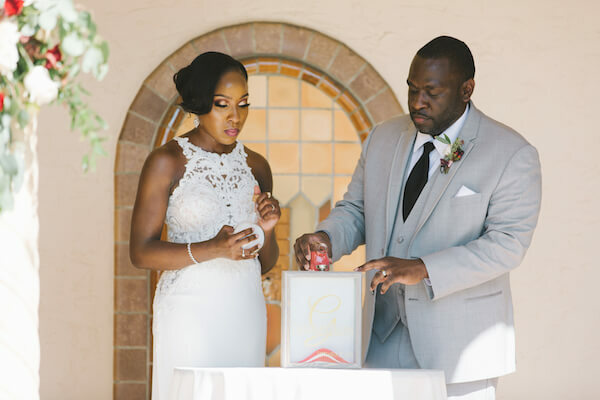 The couple exchanged vows they had written in an outdoor wedding ceremony that also included a sand ceremony. 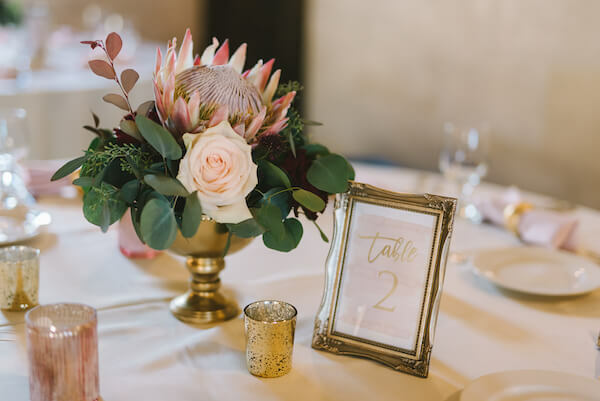 The wedding reception in the estate’s Great Room included round tables appointed with gold Chiavari chairs, gold vessels overflowing with eucalyptus, soft pink roses, and king protea surrounded by candles in rose gold votive cups and pale pink napkins. 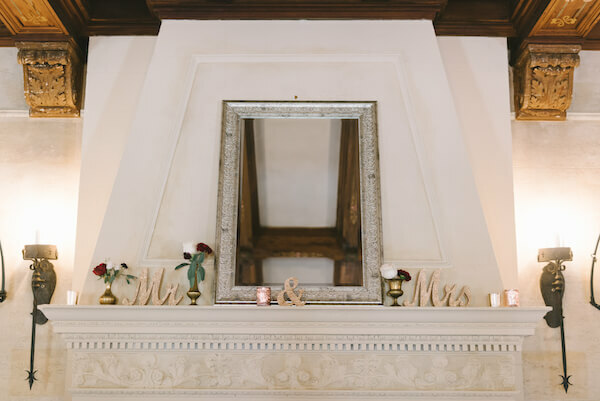 Their sweetheart table was centered in front of the large ornate fireplace which was decorated with simple arrangements and Mr. & Mrs. in shimmering rose gold letters. 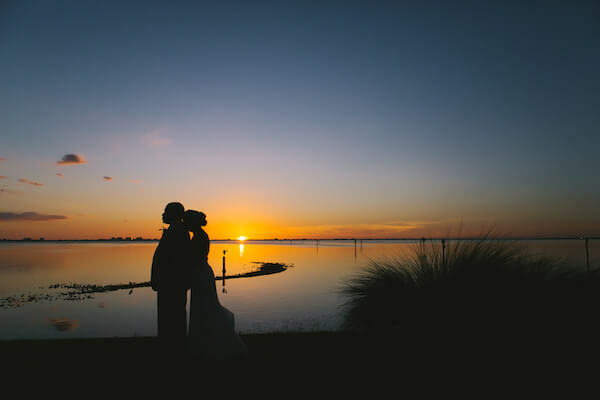 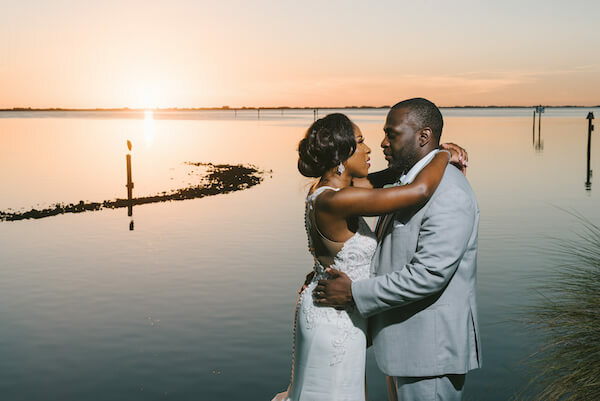 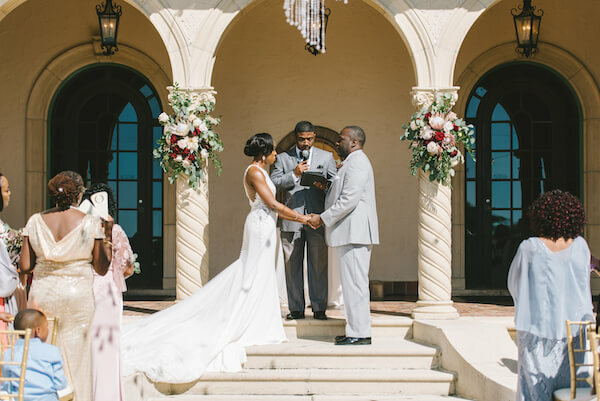 Chevonne and Vaughn took full advantage of the Powel Crosley Estate’s amazing architecture, waterfront views and brilliant Sarasota Bay sunset for once in a lifetime wedding photos. 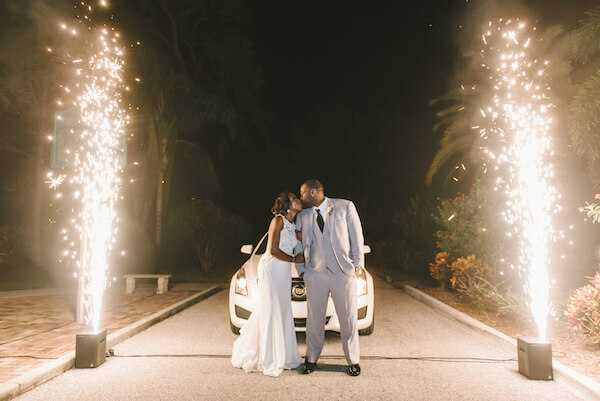 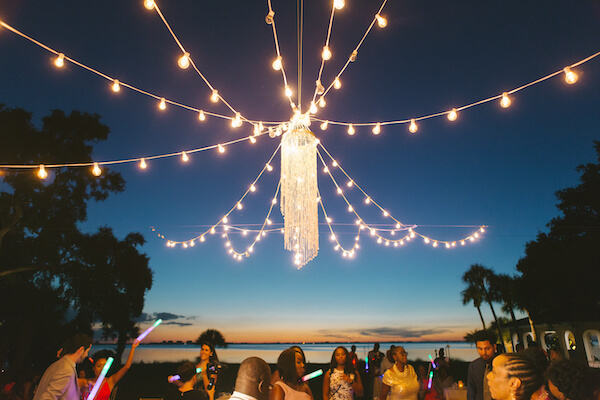 Guests went back outside to The Loggia for an evening of dancing under the stars and a sparkling chandelier, before Chevonne and Vaughn ended their wedding day in a shower of sparklers. 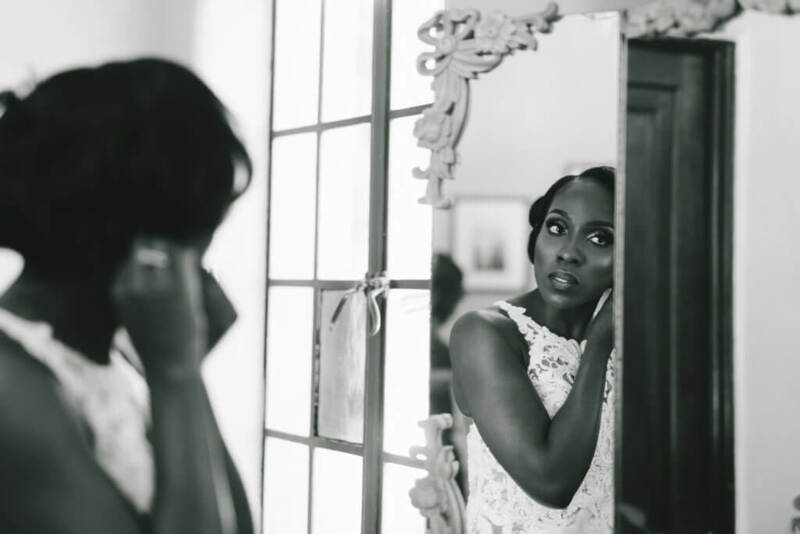 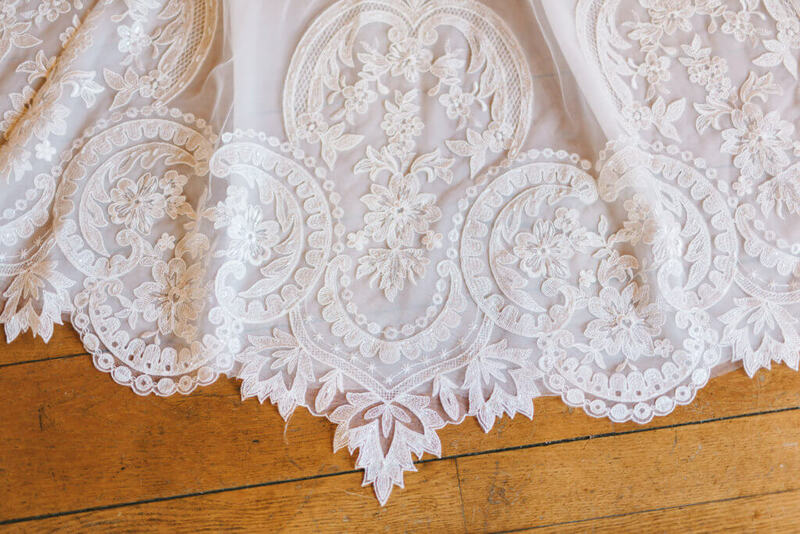 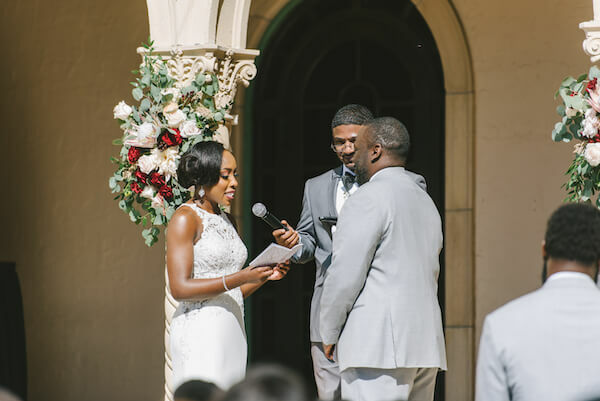 Every detail of Chevonne and Vaughn’s amazing wedding day was classic, elegant and timeless.